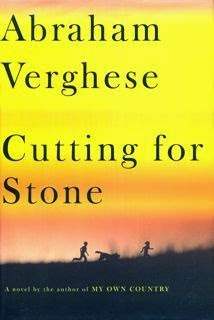 When Stella Rimington first published a novel in 2004, I was pleased, surprised, and interested. It was kind of cool, watching the watchers, and seeing what she decided to share with us of her life and her work as the first female Director General of Britain's domestic security service, MI-5. Her earlier work, particularly her first novel, At Risk, was good. But the editor needed a sharper pen on this latest spy caper, which did not quite reach the mark. Perhaps writing is a stress-reliever for her and we should not ask for more than is offered. But all novelists must run the guantlet of reviewers. The story here is has Russian actors, and it seems to be reminiscent, in the beginning at least, of the real-life murder of the Soviet citizen Alexander Litvinenko. The ripped-from-the-headlines quality Rimington can bring to her writing certainly adds cachet, but unfortunately her main character was an ice queen who inspired little confidence and no loyalty. I am not at all sure the reserve and secrecy so useful to the DG of MI-5 are particularly useful characteristics for novelists. One must reveal deep truths about characters if we would be willing to walk a distance with them in an alternate universe. This is a book of photographs of the street installations Slinkachu. I can't decide which set-piece I like the best, but fortunately there are lots to choose from. I think the cover art "They're not pets, Susan" might be best since it first drew me in. Though I could be convinced to vote for "Local amenities for children". So, who is Slinkachu? Presumably Will Self, the London novelist, knows since he wrote the introduction to Little People.... Slinkachu is reputed to live in London, but his beat is all of Europe. The more relevant question may be where did he get that name? In any case, he makes city living interesting again, and forces us to see the world anew. See more of Slinkachu at http://www.slinkachu.com. Fellowes is amusing because he is keenly observant and advantageously placed. His tales have the flavor of truth. He writes of a class of society most of us will never know personally: the rich, the famous, the titled. While we may not aspire to the life these people endure, there is something intrinsically interesting about a life without the more usual set of boring constraints. The narrator, very like our author as described above, says plainly at the beginning of Chapter Two; "I've never been a good judge of character. My impressions at first meeting are almost invariably wrong." Why we then place ourselves in this unreliable narrator's hands has everything to do with the ultimate success of the book. We are always a little off-balance and unsure whether we should trust the narrator's observations. We must put our own considerable experience to work deciding the ultimate value of a piece of information. We discover the rich, the famous, and the titled have similar motivations to our own, and constraints almost entirely of their own construction. I love the idea of graphic novels. I love the idea that drawings can instantly tell us things about people and situations and language provides depth, gloss, and character. Persepolis by Satrapi gave us serious biography graphically, and The Photographer by Lefevre and Guibert gave us serious war reportage. 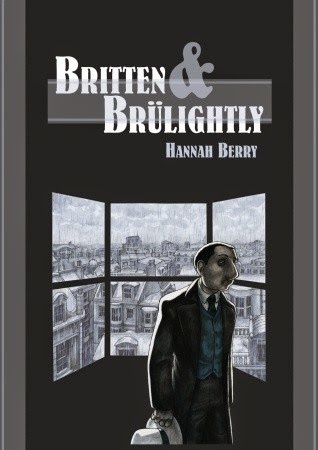 Now Britten and Brülightly takes us part of the way to what I imagine is possible for a graphic literature. The art is superbly suitable for the noirish mystery. It is nuanced, and shows us slight variations in meanings. The choice of frames impells the story forward at a reasonable clip (could, perhaps, have used a few more frames as I had to flip back a couple times). The authorial voice for Britten is dour and dry and funny. Britten and his sidekick, Brülightly, manage to solve the mystery of a thwarted love affair which involves death, birth out of wedlock, and hidden family histories. I loved the characterizations, but hated the ending. The story line at the end was not all I would have wished, but overall the effort was exceptional. I look forward to the direction this book has moved us. This could very well be a new classic. When I finished it, I immediately started it again, to see how Benioff did it--how he created characters so rich one wanted to meet them. War tends to concentrate the mind wonderfully, and here it is no different. In this story, experience is so distilled it hits with the force of a burning shot of frozen vodka. A young boy of seventeen is taken under the wing of a world-wise twenty-year-old as they navigate Leningrad and environs in the final brutal winter months of WWII. The elder of the two young men is a raconteur par excellence who teaches us equanimity in the face of failure. I think I would make this one of the new high school required reading texts. It feels fresh, immediate, important. It has all of life in its pages. Deogracias is the lens through which we view Burundi and Rwanda during the "events" of the 90's. Through his eyes we also have a reflected view of New York City and its inhabitants in that decade. By the end of the book I realized, without the slightest cynicism, that we must indeed thank god for this man, Deogracias, who shows us what humans can be, and what they can accomplish. Kidder does an exceptional job of showing us the disorientation of Deo during and after the events in Africa, and after his arrival in NYC. Deo was a third-year medical student in Burundi when he came to the United States. He spoke no English, knew no one, and had two hundred dollars. We glimpse his fear, re-live his humiliations, laugh at his misunderstandings, and feel his anger. Somehow Kidder has made this one man's experience universal. We feel responsible. Unequivocably fine. The authorial control over the number of carefully- drawn characters, the time span, the continental shift, the depth of medical knowledge, the sheer size of the story--all these inspire awe. The novel also inspired gratitude in me--that the author shared his story with us, taught us things about medicine we didn't, couldn't know, and for trusting us to rejoice in the differentness of his construction. And for the time. I hope he got as much out of the telling as we have gotten from the reading.